The main contaminants foundin Lynnfield well water are iron & manganese as well as the hard water minerals magnesium and calcium. Small amounts of these minerals can have large affects on your home’s water quality. The EPA maximum allowable levels foriron as a secondary contaminant is .3 parts per million. 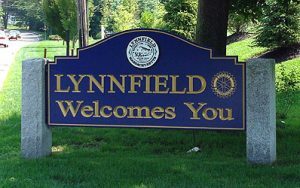 The EPA maximum allowable level for manganese as a secondary contaminant is .05 parts per million. These are very small amounts, but their affects can create quite an impact. 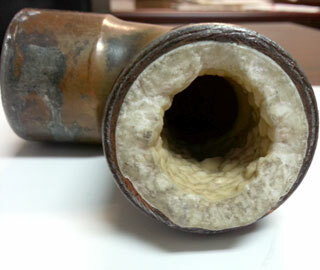 Water softening will be very effective if you have hard water, iron or manganese in your well water. A water softener is effective in removing dissolved forms of iron & manganese and hard water minerals. To remove particulate iron or manganese, a cartridge filter with proper micron rating will be effective. Depending on the specific situation, this could require a series of filters with different size micron ratings to handle heavier levels in the water. 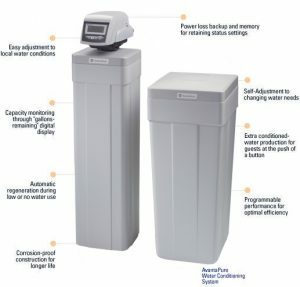 Selecting the appropriate micron rating and style of filter can be determined by a water treatment professional based on water test results and other symptoms. For more on Iron and Manganese, see articles in Water Technology Magazine at the following link: http://publications/. Hard water affects include corrosion and scaling inside pipes, major staining throughout the home’s showers, bathtubs, and sinks and destruction of hot water heaters way ahead of their useful life (scale build-up inside hot water heaters can insulate the temperature sensor inside the tank causing them to work much harder to bring the temperature up to the set level). Iron and manganese in water can create rusty or black/brown staining and corrosion in the home as well. Hydrogen Sulfide is evidenced typically by a rotten egg smell in your water, however this may also be caused by high Manganese levels in the water also. A water filtration specifically for this problem is effective in correcting this. For those using their well water for outside lawn irrigation, iron and manganese can cause major staining of outside walkways, house siding and anyplace the water touches. See the link at http://lawn-irrigation/. Having a water test performed is a mandatory first step in the process of improving your water quality. Without a test and analysis, the most appropriate type of water softener or other water filtration system cannot be determined. 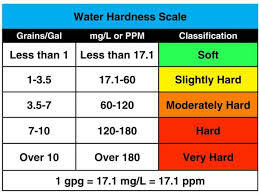 For more on water testing, see the link at http://water-testing/. 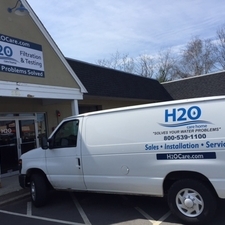 H2O Care is an established full service water filtration and testing organization, originally formed in 1989, based in Middleton, MA on route 114, with an additional office in Hudson, MA. See our written and published articles in Water Technology Magazine by going to our website, http://h2ocare.wpengine.com and going to the publications tab at the top of the home page. H2O Care has been installing and servicing water softeners and other water filtration equipment since 1989. We can be reached by email at service@h2ocare.com or by phone at 978-777-8330.